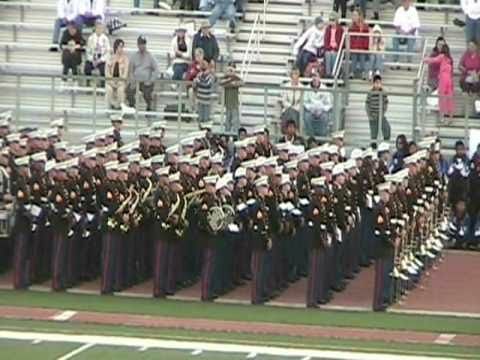 The United States Marine Corps West Coast Composite Band performing at the 29th Annual Pasadena Tournament of Roses Bandfest on Tuesday, December 30th 2008. This fine band is composed of four Marine bands from Southern California - the Marine Band San Diego from the Marine Corps Recruit Depot, San Diego; the Third Marine Aircraft Wing Band from Marine Corps Air Station, Miramar; the First Marine Division Band from Camp Pendleton; and the Marine Corps Band Twentynine Palms from the Air Ground Combat Center in Twentynine Palms. Marine Band Plays "Stars & Stripes Forever"
Marine Corp Band Stars And Stripes Forever. Beauty and the Beast Live- Is This Home?